While I’m editing Turtle Reef (out with Penguin April 2015) writing mentor extraordinaire Sydney Smith has been guest blogging for me. Here is her second last post, an insight into her creative process and why I call her the Story Whisperer. Her mind is always choc-a-block with plots! So I play plot games with myself. I’m a plot geek. I can work up a rough plot―protagonist, antagonist, premise, setting―in a matter of minutes. I can develop it over a few days. By the end of the week I’ll have what looks to outsiders like a workable story. While I’m doing this I believe in it utterly. I believe it’s real, believe it’s ready to write. All it needs is that final step, that teeny tiny step into commitment. Every night I go to bed hoping to wake the next morning with the writing devil in me, the one that propels me to my computer and dictates to me words of fire. And each morning, I wake un-possessed. I go for coffee with a writing friend, I get an email from a friend about her novel-in-progress, I have a session with a student, and every time, they ask me if I’ve started writing yet. Some of them understand why I haven’t. Some are baffled. There are novelists for whom writing is a matter of will. 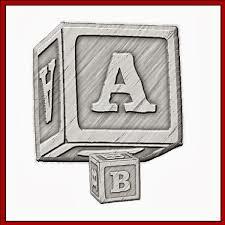 (Jennifer – Yep) For me, writing is always an act of demonic possession. If the devil hasn’t crowded into my mind, raving in tongues, there is no way I can write. Writing a novel is a huge undertaking, demanding hundreds of hours of screen time, and many hundreds of hours of thinking. I can’t do it without the writing devil. Dusk – a supernatural creature who enters a family and destroys it one member at a time. The Bridge – crime novel about a man who was wrongly convicted of murder. Rosings – a sequel to Pride and Prejudice. Atthis – a fantasy novel about a girl who trains as a monster-slayer. Leila – a woman who works as an assassin. The Water Serpent – a fantasy novel about a young woman who can manipulate Time. I’m not a religious person―despite all the religious imagery I’ve used―but as week followed week and none of these plot games turned into something more, I went to bed praying to the god of my imagination to bring me a story to write. I got to the stage where I was frightened I would never write again. Then a week ago, I woke one morning with the writing devil prodding me with his red-hot pitchfork. The novel was a plot game I had briefly played with back in 2013, while I was visiting the Blue Mountains. It hadn’t even whispered to me while I was playing with the plots I listed above. Yet it must have been growing in a corner, because here it is and I’ve written over 30,000 words. Well done Sydney. Hope the devil won’t desert you! Sydney Smith is a writing mentor, teacher and author of short stories, essays, and The Lost Woman, a memoir of survival. She will soon be releasing The Architecture of Narrative, a book about how to plot and structure fiction. She offers writing tips at www.threekookaburras.com. If you have a question on any aspect of writing, feel free to visit her website. I’m planning my new novel (as much as a pantster can) and have been thinking a lot about subplots. I love dreaming them up – B stories, those side stories that add dimension and complexity to the main narrative. Take a suspense thriller for example. Our heroine Susan, is a teacher. An outbreak of bizarre behaviour among her high school students leads her to believe they are being mysteriously hypnotised. Solving the puzzle is the main plot. But perhaps Susan also has trouble at home, a rocky marriage she’s trying to save. We’ll see a different side of her in scenes where she fighting for her relationship, than we will when she’s being a super sleuth. 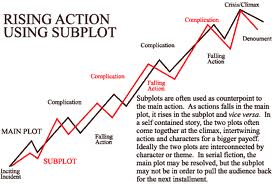 Subplots allow writers to deepen characterisation. Used well, subplots also help emphasise theme. The theme may be finding one’s authentic self. In the main story, Susan’s exploration of hypnosis and the human psyche makes her question her mundane, unadventurous life. Is it fulfilling or has she settled? In the subplot, Susan holds on to her husband, by pretending to be someone she’s not. At some point she realises she needs to let him go. The subplot illustrates theme from a different angle. Subplots give readers variety – a rest from the main plot, especially if you’ve hit a slow patch. You can switch over to an interesting subplot and let the main story play out in the background for a bit. They can provide light relief, an opportunity for humour to be injected into a serious story. And they can be a lot of fun to write. Remember though, they should be tackled in the same way as your main plot with their own narrative arc. And they shouldn’t overwhelm the story. If a subplot takes over the main one, it’s trying to tell you something. Maybe that’s where the action really is? I’m sixty thousand words into my work-in-progress, two-thirds of the way through a novel which will end up being about ninety thousand words. If it was a screen play, I’d be entering the final act. In the first third of the manuscript, the first act in screenwriting terms, the premise is set up for the reader. What sort of a story is it, and what is it about? Who is the heroine and what does she want more than anything? Who is the antagonist? In many ways the antagonist becomes the engine room of the story. Meeting this character provides the reader with an answer to the final important question. 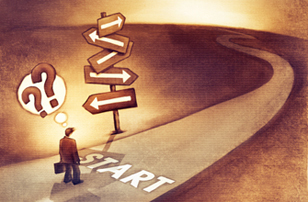 What is the main conflict going to be? In the middle third of the manuscript, or second act, life is becoming progressively more difficult for my heroine, Nina. This is when an author can torture her main character, in fact it’s almost mandatory! Plans fail, alliances break down, dreams are dashed. Nina’s choices become harder and harder. She has, as the ancient Greeks would say, her long, dark night of the soul. My god, is Nina ever in a bind! But she never gives up. She remains single-mindedly determined to achieve her goal, whatever the sacrifice. 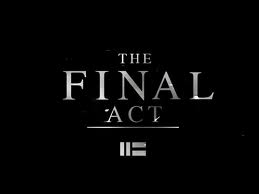 I’m about to launch into my last thirty thousand words – the final act. If I don’t provide my readers with a satisfying finish to the story, I’ll have wasted my time. But I must admit that, despite doing a lot more planning this time, I don’t know exactly how the book ends. I once watched a fascinating documentary on English crime writer Minette Walters. It followed the progress of her novel The Shape Of Snakes. Half way through this complicated psychological thriller about a twenty year old murder mystery, Minette still didn’t know who had committed the crime. Quite the panster! Apparently she writes all her books like that. There’s a lot of truth, for me anyway, in what she says. Plotting too carefully, can kill the interest and excitement in writing the story. It becomes a chore. So I won’t worry about my ending, not just yet. I’ll just pray for a visit from the plot fairy!